Dear Wab: I think what we see here is what Chicano scholars like to call rasquache: the uniquely Mexican art of creating beauty from crap. I’m talking black velvet Elvis portraits, additions to homes, fitting 19 to a car, the entirety of Mexico City, and the comedic styling of George Lopez.—all rasquache. In this case, it seems your neighbors apply rasquachismo to semiotics by associating the Fourth of July with apple pie and creating a new nickname for the holiday, so don’t take offense. 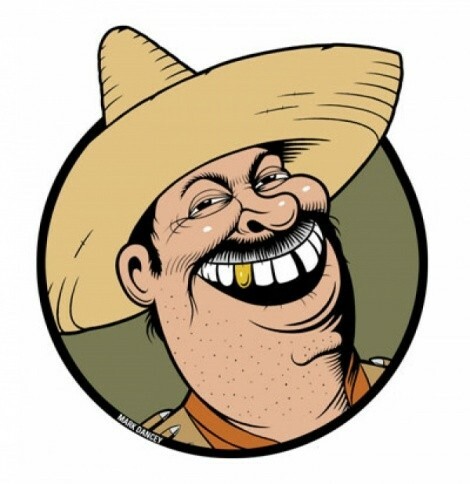 Hey: At least they translated the invitation, instead of the usual gabacho ruse of calling the police when Mexis start parking on lawns because they invited too many people to the house again. Dear Readers: I received the above carta a couple of years ago, when a spat of murders and beatings between Mexicans and African-Americans because of race got the media to do specials, write breathless stories, and wonder out loud if the reason that Mexicans targeted negritos was because of an anti-black gene embedded in the Mexican soul. Know Nothings, of course, used the anti-negrito crimes to further push their claim that Mexicans are evil and thus worthy of deportation. Flash-forward to this year, in Staten Island, where it emerged that Mexicans were being targeted by African Americans because of their ethnicity. Did the media push the story that the perps targeted Mexis because African Americans are inherently racist? No, because that’s faulty logic, just like the anti-black-gene canard. Ethnic conflict in the United States is as American as Apple Day—not excusing it, and not denying that Mexico does have its own unique racial pendejadas, but the Mexican finds its highly amusing how easily the media and Know Nothings cast us as inherent racists yet don’t apply the same standard to our persecutors. What’s good for the ganso isn’t good for the gander, apparently. Finally, yes: Mexico had a black president (Vicente Guerrero) and a freedom fighter (José María Morelos).